There are a myriad of safari options available from regular tour departure safaris to specialist-led small group safaris, photographic safaris, walking safaris, riding safaris, self-drive safaris right through to dedicated wildlife conservation supporting safaris. 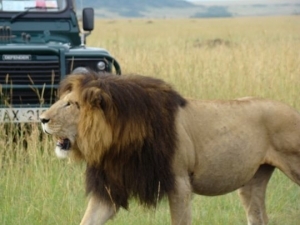 You will generally get what you pay for, so choosing the right safari requires some forethought and careful research. We have been organising private specialist safaris for small groups of enthusiasts that are led by naturalists, conservation biologists and wildlife researchers and film-makers for over 30 years. We are happy to share with you this overview of aspects to be considered. 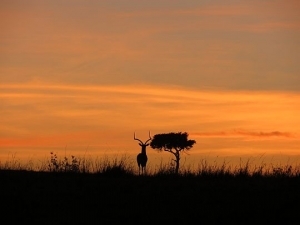 How many days you really want/need on safari and how many locations you want to visit? This is important because wildlife viewing can be physically demanding – temperature changes from very cold to very hot, uncomfortable off-road travel, long periods of inactivity interspersed with times of great activity, etc. If you are considering multiple locations you need to check what the difference experiences will be and if you will see different animals. Remember wildlife is unpredictable and nothing is guaranteed. The David Attenborough world of wildlife experiences does not exist in the real world. It takes weeks, months and even years and numerous cameramen sitting out in the bush to capture scenes that are then clipped together to make a riveting hours TV viewing. BUT nothing beats seeing your first tiger in the wild or a pride of lions lazing under a tree or a cheetah kill or a polar bear striding across the ice and to live a few days by nature’s timetable. The waiting and the tracking are all part of the experience, and all creatures great and small are wonderful. Where do you want to see wildlife – in a protected National Park/Reserve or private concession or in an unprotected habitat? National Parks and reserves offer wildlife protection but there are park fees to pay and rules to adhere to – normally you are not allowed to walk and you must stay on the tracks and you can only enter during day light hours. They provide a natural habitat and unmanaged ecosystems and so you can expect a genuine wild experience with plenty of wildlife. Private concessions are managed smaller areas that are generally fenced, and close to or within National Parks. The controlled habitat and ecosystems does mean game is almost guaranteed and on tap and you pay for this privilege. There are fewer rules and some offer walking and night drives. This is a semi-wild experience. Both these options offer a glimpse into what the plains and jungles were like before man encroached on habitats. There are a few rural areas where you can see wildlife co-existing with humans – Brown bears in Finland and Russia, Polar bears around Svalbard, leopards in India. Sightings will be good but the amount wildlife will be limited. These places offer a rare glimpse into a natural world where man’s impact has not yet destroyed wildlife habitats. This is not ideal for timers. 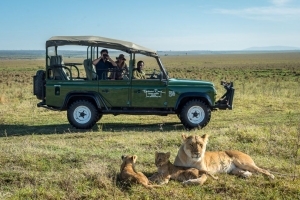 Do you want to do a self-drive safari? Self-drive safaris tend to be limited to the more commercialised National Parks in Southern Africa, where you drive on tarmac roads and there will be more people and less wildlife. This is not suitable if you want sit and wait and observe the animal behaviour as it unfolds before you. Do you want to see as much wildlife as quickly as possible (tick-list) or are you interested in learning about animal behaviour as it unfolds before, conservation challenges for endangered species and the mechanics of eco-systems? If you are happy just seeing as many animals as possible then a regular safari should suffice. However you may not have a driver/guide who is very knowledgeable or whose English is easily understood. I you want an unrushed safari and are happy to see and watch and learn something about what you are seeing then you should look for a safari that provides a private naturalist or is hosted by a conservation biologist or wildlife researcher. Which wildlife species are you interested in seeing? General wildlife and birds or species specific – tigers, leopards, cheetahs, snow leopards, jaguars, polar bears, whales, birds etc? This will determine the country and time of year. What time of year are you able to travel? This should be factored in to the destination. You need to check the key times of year to see wildlife, avoid the rains, some parks close during the monsoon season etc. Check how tall the grass is likely to be and if and when they burn the grass as this will reduce your sightings. Do you want to ty to see a wildlife natural phenomena like the wildebeest migration? Quality safaris and the more specialist safaris are expensive. The smaller the number of participants, the level of expertise of a safari guide/host are added benefits and add to the price. How you travel, the type of accommodation, the time of year will all effect the price. Do you want to fly into the National Park or travel by road? What type of accommodation do you want – mobile tented camp, bush camp, luxury camp, lodge or hotel? A mobile tented camp is an intimate bush experience. It can be luxurious butthere won’t be any electricity and services and facilitieswill be constrained by the remoteness and number of staff. Expect pit toilets and bucket showers. The camps are normally small with 6 – 10 tents. You definitely get what you pay for here. 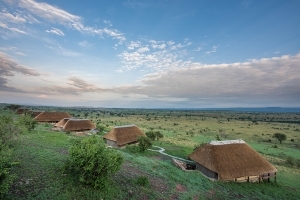 A bush camp is a semi or permanent tented camp offering greater service and facilities. There is usually solar powered electricity and flush toilets. You may still have bucket showers. The smaller private bush camps with just 6 – 8 tents offer the more intimate experience. Luxury camps offer a gold-tapped, carpeted tent experience that is more about fine dining, G&T’s and looking beautiful than the wildlife. Lodges and hotels are usually large with +30 rooms and so are more commmercial and impersonal. Many have a swimming pool. You will share safari vehicles, which may be miibuses, with random tourists. You normally get two short game drives of a couple of hours each per day. The first game drive may be after breakfast. and distances travelled will be minimal. You may not be seeing game at the best times. This is the most basic safari and you risk there being a conflict of interests, noisy people and cramped conditions. You may not have an outside seat. 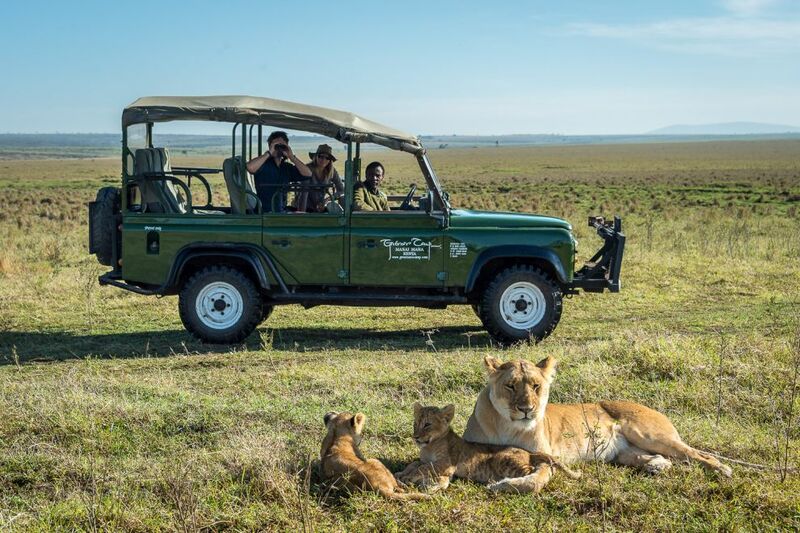 The alternatives are to travel as part of a specialist safari with a small party of like-minded individuals, pay for a private vehicle and driver/guide or do a self-drive safari. These will all be more expensive. Do you want a specialist safari – photographic safari, walking safari, riding safari, water-based safari, one that financially supports the sustainable future of endangered species or are you interesting in seeing wildlife conservation in the field? On these safaris expect to be out some days from dawn to dusk without heading back to the camp/lodge. Is there electric lighting and sockets in the rooms/tents? How is hot water provided? Is drinking water provided in the rooms/tents? How much privacy/space is there between rooms/tents? How many rooms/tents are there? Is there a waterhole for viewing game? Are children allowed in camp? Are the vehicles minibuses or 4×4’s? How many seats are there per vehicle? How many people are there in each vehicle? This not necessarily the same. Are the vehicles open sided and open topped? Is drinking water provided in the vehicles? Are the driver / guides fully trained naturalists? How many vehicles does the camp/lodge/hotel have? How many game drives are there each day and for how long? Is there a naturalist as well as the driver guide? If so what are his/her accreditations and qualifications? What is the minimum and maximum number of guests? Is it tailor-made and is there just one departure date? Children do not have the same attention span as adults and in most cases do not have a high level of interest and so quickly get bored. They also do not have the stamina to stay out in the heat for long hours. Make sure your camp/lodge has a swimming pool and book a private vehicle so you can tailor the game drives to your children’s capabilities and you do not spoil game drives for other guests. Safari’s are not normally suitable for children under 8 years. Specialist safaris are not suitbale for under 16 year olds. Make sure you have adequate travel and cancellation insurance that includes safari as an activity, the destination and altitude if appropriate, and financially covers the cost of the holiday in the event that you have to cancel, before you register and pay a deposit. If going on safari in East Africa check that Flying Dr emergency cover is included or can be provided for a supplement. Most reputable safari companies, camps and lodges will require you to sign a waiver disclaimer because wild animals are unpredictable and accidents can happen. It is reasonable and necessary that you accept the higher risks involved in participating on a safari and agree to act responsibly. Look for complete transparency in what you are paying for. Do they accept family bookings with children? Does The Company have a good form and how long has it been in business? Check you have a registration form that states who the booking is with. Check you have a copy of the booking terms and cancellation conditions before signing a registration form and paying a deposit. Check the method of payments available. Is the Company’s bank account in the company name? If buying a complete safari check the Company has an ATOL licence. This is a licence issued annually by the Civil Aviation Authority, which guarantees you financial protection and peace of mind knowing that the Company is financially stress-tested each year and is compliant with package travel regulations. We always encourage potential customers to speak with us personally, to chat about the destination, the accommodation, the vehicles and the expert host, and to reassure you of our competence, friendliness and helpfulness. They are all small group safaris for 2 – 8 guests with one departure date. They are all hosted by a naturalist, wildlife researcher or conservation biologist. The Ethiopian wolf and lion conservation safaris financially support the long term survival of the species and conservation programmes – EWCP & Ewaso Lions. We urge you go and see our wonderful natural world before it is too late.